Beijing is very famous for mianren, a folk art form that dates back hundreds of years. The little figurine is made of colored rice flour, coloring, stone wax and honey. 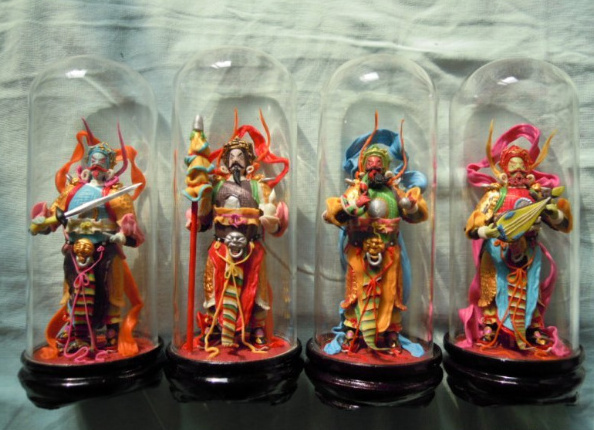 With a bamboo knife, a highly skilled craftsman can make these fairy tale and opera figures out of flour come to life. In the old days, this type of folk art was not considered to be high class and craftsmen had to travel all the time and work very hard only to make ends meet. Nowadays, it has become a part of China's intangible cultural heritage. The country has made large investments to protect it and pass on its tradition.